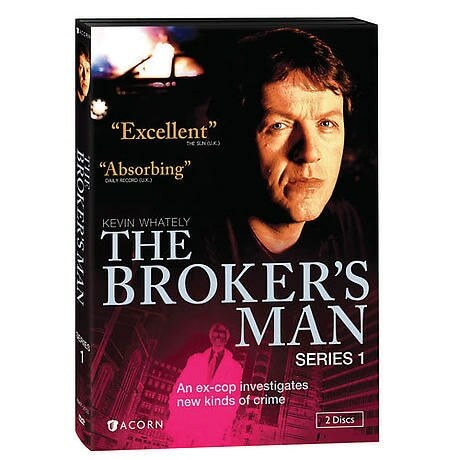 Between Inspector Morse and Inspector Lewis, Kevin Whately was Jimmy Griffin in The Broker's Man. A former detective turned insurance fraud investigator, down on his luck, his marriage over, Jimmy takes whatever work he can get while trying to maintain his dignity in a corrupt world. In Series 1, he probes an international conspiracy, a poisoned water supply, and a car finance scam. With Peter Firth (MI-5) and Annette Ekblom. 3 mysteries, 2 DVDs, SDH. When a shipping container worth millions is stolen, ex-cop Jimmy Griffin is put on the case to investigate possible insurance fraud. The conspiracy runs deep, encompassing a ruthless Dutch crime ring and a string of murders, but Jimmy risks all to uncover it. A motorcycle and car collide on a village road, leaving one driver dead and the other limping from the scene. As Jimmy begins to look into the claim, he also takes on a lucrative water-treatment-malfunction case. Juggling the two won't be easy, as the stakes for both grow more dangerous. His relationship with Sally finally on the mend, Jimmy joins his family on vacation. A small missing-firearms case presents itself, and he accepts it. But hiding the assignment from Sally won't be easy, especially with the volatile man at the center of the mystery hanging around.